To see more from Amy, visit her blog The Girl and the Words or her Twitter page. I know that you won’t make me burn, but darling I wish you would. The holidays are over and new year has begun! 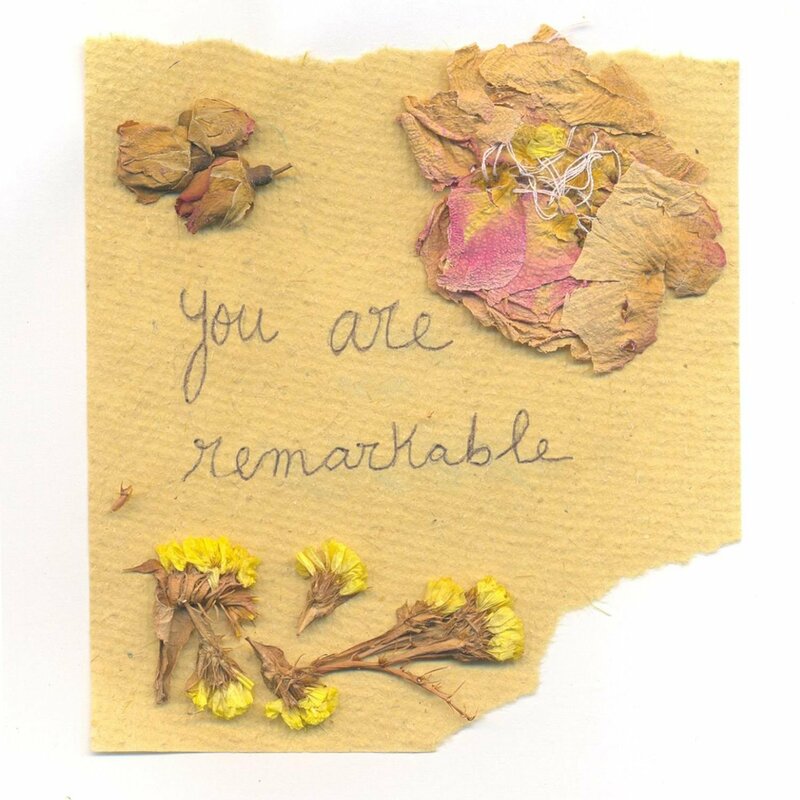 You Are Remarkable will be back tomorrow with new posts! Every Tuesday we will have regular content that’s fresh from some new and old contributors. We hope you’ll check in with us every week and as always, we’re looking for contributions! Send us your poems, letters, thoughts, ideas, and ramblings. I have collected all our letters, notes and diaries, which were written by ourselves, since high school. It has been 9 years. It’s more than one month since she leaves. She’s holding those papers, wishing she will forgive my stupid things. Leaving my hometown just for her. Now in this huge city, it’s strange that I am so lonely, but true. She will make up my days, enjoy street foods with me, hug me… hopefully you can do something magical. To read more by Miriam, please check out her book of poems, Pomegranate Heart.